Howdy roomies! The Bingo Rodeo has arrived to Bingo Australia and will play from Nov 1st – 30th with over $100,000 in CASH JACKPOTS, can we get a Yee Haw?! The Rodeo Contest is giving away loads of WILD CASH, plus $2,000 in weekly prizes and a $1,000 CASH Grand Prize to a lucky cowboy! Join in the Main Room fun and excitement every day and receive a fantastic Buy 15 Get 5 Free offer on all cards to all rodeo games. There’s no end to the fantastic cash prizes up for grabs, the more players join in the game, the higher the jackpots. Check the Australia Bingo contest page for all details. Plus! Every time you win one of the Bingo Australia special $100,000 rodeo contest games you will receive one ranking point. You will be automatically be entered into our $1,000 Grand Prize Draw at the end of the month. Every win puts you one step closer to win it! – Pre-buys available. At the end of each contest week, they will put all participants in a cowboy hat and randomly select 5 winner (s) or credit the top 5 cowboys with most ranking points depending on the week. 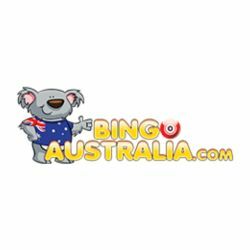 On December 5th, BingoAustralia.com will combine the rankings with qualified players and randomly select the $1,000 GRAND PRIZE winner! Put on your chaps, saddle up your horse and mosey on over for a rootin’-tootin’ good time! Play Now or Pre-buy Cards!